This report provides a high detailed, data-centric analysis of the world market for Digital Pathology. Key features include market size estimates for 2016 – 2017, annual growth rate forecasts 2018 – 2022 and vendor market share analyses. 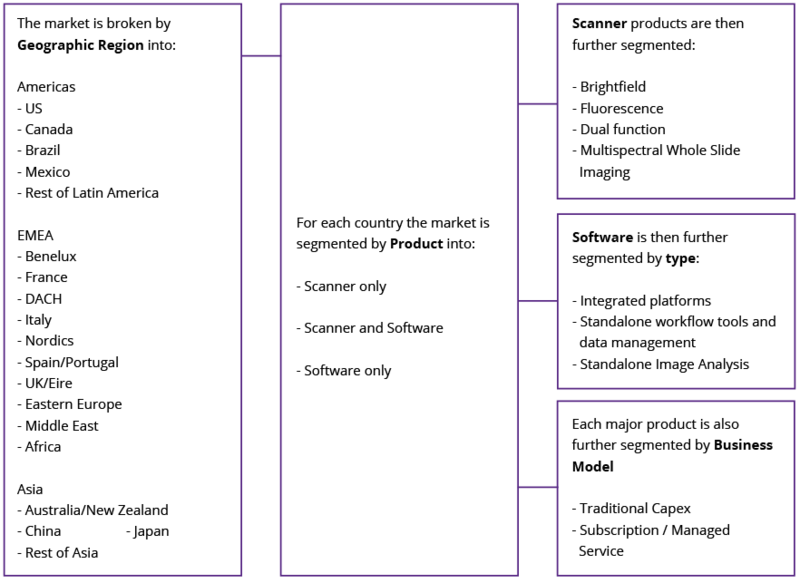 What is the current market size and growth rate forecast for the Digital Pathology market, by product segment, sales model and geography? Which implementation model is driving market growth? How is Telepathology, cloud technology and artificial intelligence impacting the market? How will the competitive landscape evolve and who will gain/lose market share between traditional Pathology hardware vendors and software specialists? Market metrics are presented for the period 2015 to 2022. To download a brochure please first supply your email address.